As the popularity of smartphone, everyone can be a movie-maker. You can easily shoot videos on your smartphone and then edit videos for sharing with your friends on the social media or for other special purposes. Since there are so many free online video editors available on the Internet, you may don't know how to choose a suitable one. Choosing the best online video editor can be a hard task especially when you find that most of these free tools turn out to be watermarked. I believe no one wants their videos are showing with ugly watermarks. To solve this problem, we here introduce 5 best online video editors to help you edit videos without watermark. The first online video editor no watermark recommended here is Clipchamp Create. This is an easy-to-use online video editor with powerful features, no need of any video editing experience. With this tool, you can cut large video file into smaller pieces, remove the unnecessary parts of video clips, rotate and flip videos as you like, change the aspect ratio, add audio tracks or still images to your edits, apply filters, transitions and special effects and etc. Clipchamp is very simple to operate. All you need is just 3 steps. First create a new project and import your target files. Second, drag and drop the media files like video, audio, photos and texts to the timeline and start your edit. Third, export and save your file after you finish editing. 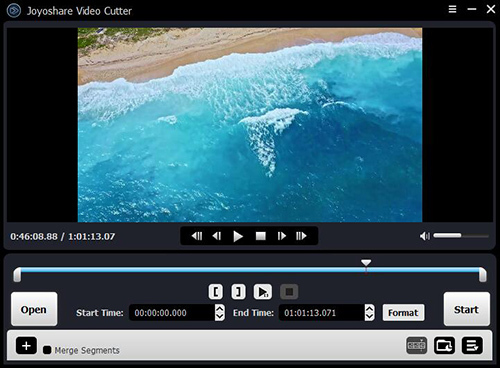 Online Video Cutter is a free online video cutter and editor. It works well in your browser and there is no installation and sign up required. You can use it to cut a small video clip within 50MB, crop the video to your desire area, and rotate the video by 90 degree, 180 degree or 270 degree. The video editor supports many video file formats and you're also allowed to choose the quality and output video formats. This program is used to crop and edit GIF files, and you can also use it to cut and edit videos. With it, you can losslessly trim, crop, rotate, resize, reverse videos, add subtitles to video, change the video speed or even convert video to GIF and GIF to MP4, etc. You can open your target video from your local disk or just paste the video URL. The supported video formats include MP4, AVI, WebM, MOV, 3GP, MPEG, FLV and more, and the maximum file size is 120 MB. This is an extremely simple and useful tool for video cropping. The platform enables you to easily cut off the unwanted parts of your video and get rid of annoying background, or zoom in the video etc. Cropping videos online with Video Crop is very easy. All you need to do is upload your movie, transform the video according to your needs and then download the results. It also provides easy access to other video editing tools online such as rotate video, stabilize video and slice video. 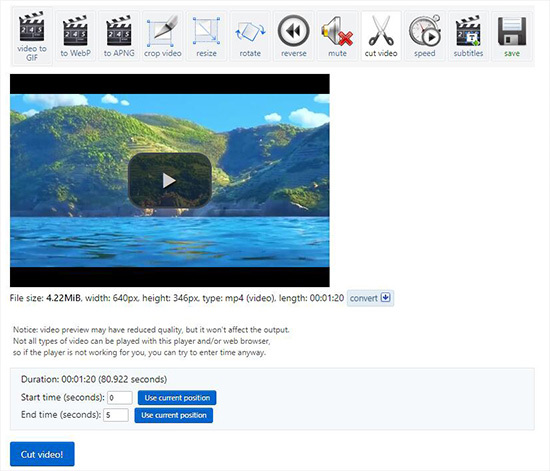 As the name suggests, it is a free video editor that is capable of making HD animated videos. 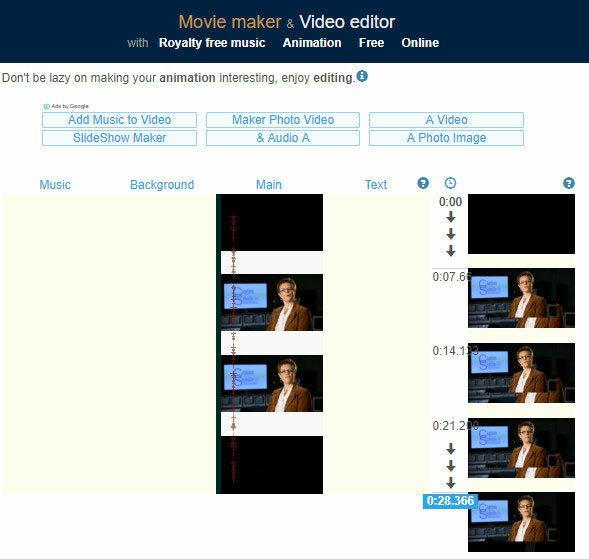 You can cut and trim the video clips, edit the audio tracks or set the styles of texts. It also provides filters, transitions and crossfade options. In addition, the site allows you to add some royalty free music, photos and images to your videos. Although these online video editors are easy to access and operate, it also has its drawbacks. For example, you may lose your private info on the Internet; the platform doesn't perform well because of bad internet connectivity. Thus we here highly recommend a desktop video editor – Joyoshare Media Cutter. This is a smart and powerful video cutter and joiner and editor as well. 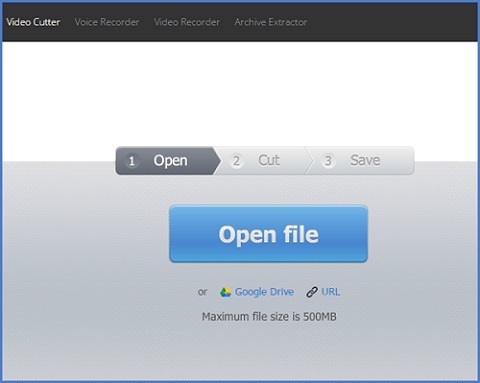 You can use it to cut any video and audio file into small segments without any quality damage, merge the video/audio clips together and edit the videos in the way you like. The free version provides you five opportunities to try this wonderful video editor without any watermark.